I feel it incumbent upon me to open this appendix to Marc's Crystal Palace Park report by explaining to our readers that being referred to as an 'adorable mammal' is perhaps one of the highest compliments one could earn from him (grumpy misanthrope that he is)*. With that in mind, here are a few more adorable mammals and other miscellaneous tidbits from the park which didn't quite make it into Marc's post. Eventually, one simply has to make the pilgrimage. Frankly, I'm not sure how I managed to delay it for so long. For anyone with an interest in palaeontology - and especially for those with an interest in palaeoart - a visit to Crystal Palace Park is simply a must. More than that - it's unavoidable. You will end up here, one day, staring up at Benjamin Waterhouse Hawkins' concrete monstrosities. Here is the Land Where Ugly Life-Sized Dinosaur Models Began. And it's quite wonderful. 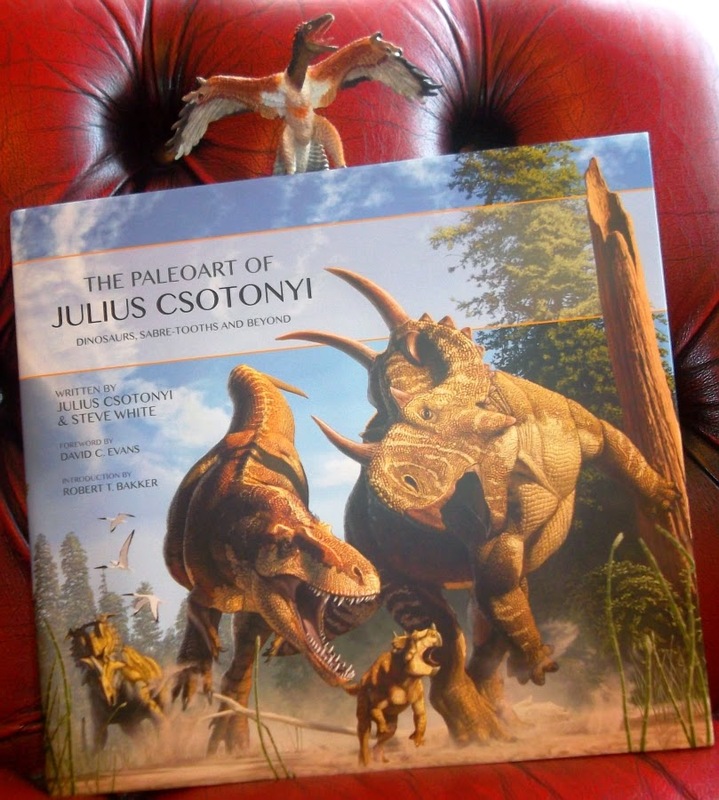 Following the success of 2012's Dinosaur Art, Titan Books have evidently noticed the public's appreciation for palaeoart - not just as an eye-catching way of padding out a kiddies' dinosaur book as in the bad old days, but as art for its own sake. In what I can only hope will become a series of titles featuring the work of today's prominent palaeoartists, Titan now present their latest stupendous coffee table compendium - The Paleoart of Julius Csotonyi. It's quite the stunner, and I could happily rant about it all day long (in an interminably rapid manner while flapping my hands about), but I'll try and keep it brief. 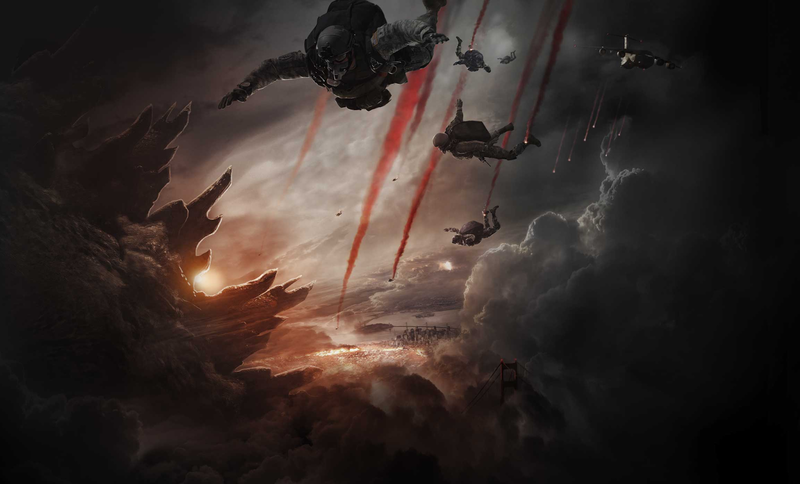 Godzilla is not the film that you are expecting. It is not a remake or reboot of the 1954 Gojira. It is not a horror movie, although it has leanings in that direction, and it is not a monster fight movie, although monsters do fight in it. It's something a bit more interesting. 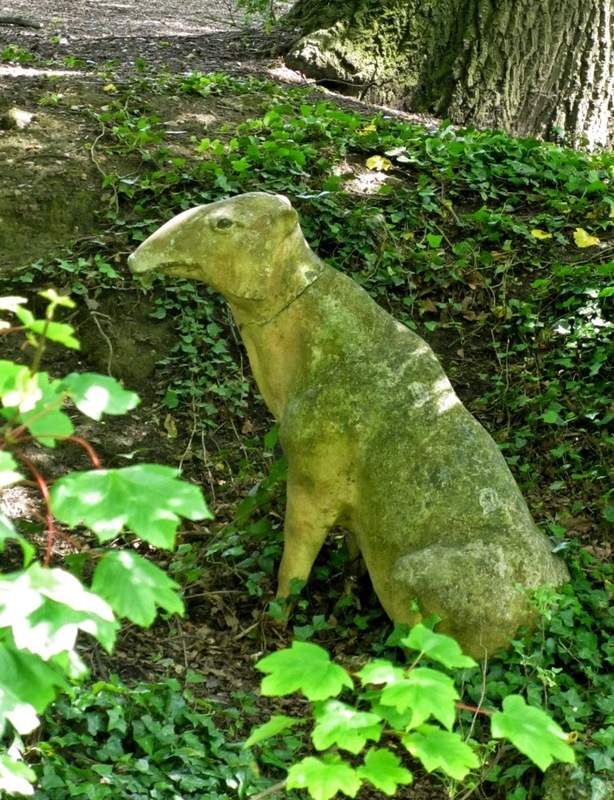 Several readers may recall Marc's having covered Blackgang Chine's The Triassic Club before. After our return this Easter to view the newly installed robosaurs of Restricted Area 5, I decided to finally complete this little project which I had actually begun a year ago, that of accurately illustrating the gentlemanly trio (which, for me, also meant accurate period garments, naturally). This was not only overdue but was especially necessary, since the inclement weather during the latter part of our Isle of Wight visit prevented me from drawing a dinosaur on Shanklin beach as I did last time. Have No Fear, My Darling Dear; This is What Happens in the Mountains. Some of you guys may know of Brian Engh. Brian, A.K.A Historian Himself, is a freelance paleoartist, a rapper, and an filmmaker. He's got a self-released album, Earth Beasts Awaken, and an upcoming album Gather Bones. He's also been releasing music videos like the one below, "Bagheera," fairly regularly on his YouTube page. They're worth watching, even if you aren't a huge fan of hip hop; they're short an d very well made, filled with powerful imagery and weird, off kilter performances. In this latest video, In Mountains, Brian brings us on a strange voyage into a frozen, primeval forest, where some ancient spirit has marked the snow with images of long forgotten creatures. And what he finds inside the mountain could spell the end of the world. The video was directed and produced by Brian himself, and as you can see, it looks gorgeous. It's also the first in a series, all of them promising more prehistoric mayhem. I'll be interviewing Brian about both his paleoart and music soon, so if you like this, hang tight. There's a lot more coming. Lampoon me if you like for digging up an obscure book from the early '90s and treating it like an ancient relic, but one look at that cover will confirm that this is a tome from a completely different time. 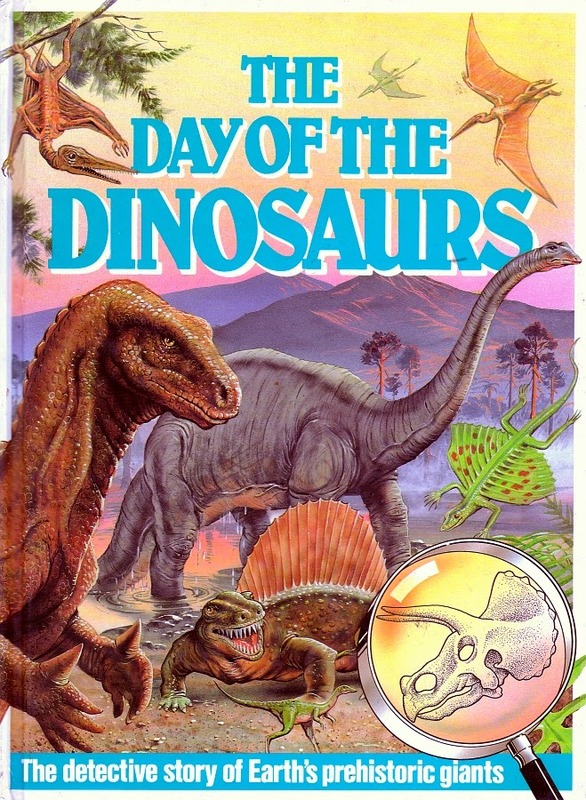 For where would one see such lizardy, Burianesque Iguanodon, tail-dragging, sour-faced sauropods, friendly, frog-mouthed Dimetrodon, and horribly dessicated pterosaurs, all united together on the front cover, these days? The Day of the Dinosaurs might only be from 1991, but it certainly makes 1991 seem like a Very Long Time Ago.